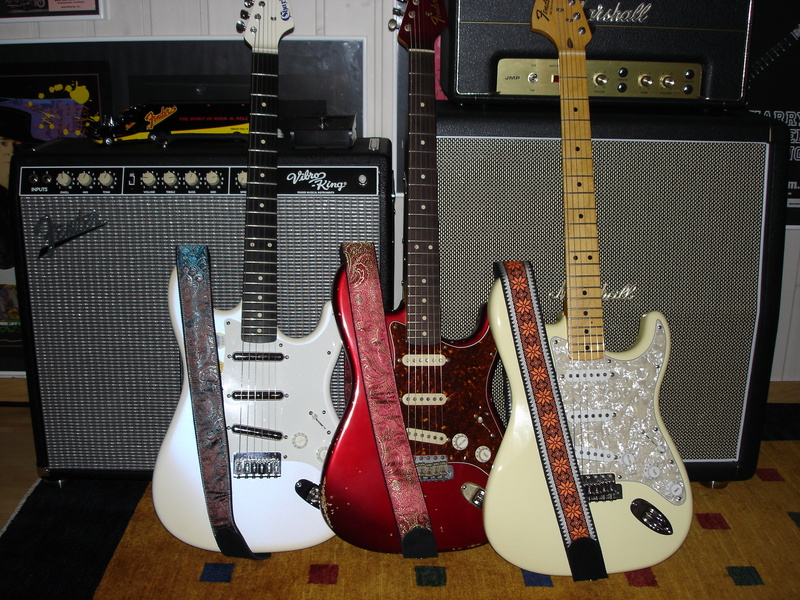 Phillipp O. sent in this shot of three really killer looking Strats. Dig the Charley's lipstick model on the left. Just like Stevie Ray's. Too cool.